The recent banking woes have everyone worried about money (well, some people aren’t, but not many of them play music for a living). Many musicians that were thinking of buying an instrument have either put that thought aside or are considering buying used instead. Doing the latter will definitely save you some money, but be sure you weigh the risk vs. the reward. After receiving this information, I’ll be able to tell you quite a bit about the horn. But I probably can’t tell you how it was treated and maintained since it left our shop. 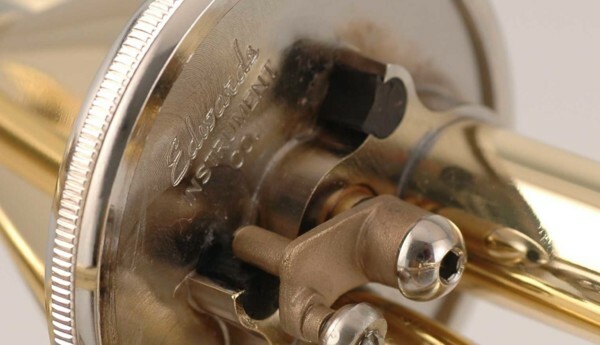 FYI, our serial numbers give you the year and month the valve section was built. For example, a bass valve section I just saw at ETW was 2904003. It was built in 1992 (I know, the year is backwards) on April 3rd. The Edwards bass I mentioned above had very little lacquer left on it. It was clear that the horn could stand some TLC: valve work (and possible replacement), lacquer stripping, buffing, degreasing and re-lacquering. But the horn was purchased for $2500, so the buyer definitely saved some money. If someone were to see the above horn and base their opinion of our company solely on it, they might think that Edwards quality is not what it should be. But once a horn is shipped, it is at the mercy of its owner. 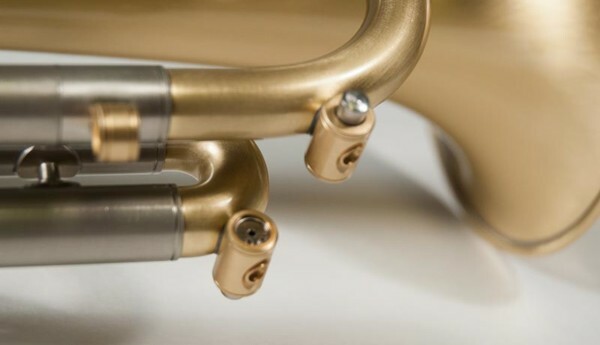 Many of our customers treat their horns like a member of the family, but we’ve seen more than a few coming back to us in desperate need of attention. “Richard”, a typical high school student, plays his instrument for 45-60 minutes day. We’ll round this to five hours a week. He takes summers and Christmas breaks off, so we’ll say he’s on the horn 37 weeks a year. Five hours a week for 37 weeks means “Richard” uses his horn 185 hours a year. “Linda”, a professional trombonist, practices/performs on her instrument an average of 5 hours a day, or 30 hours a week (she gets Mondays off). Since “Linda” has to make a living on the horn, she’s off the horn far less than “Richard”, let’s say only four weeks out of the year. Thirty hours a week for 48 weeks a year means “Linda” is on the horn 1,440 hours a year. “Richard’s” horn is the same age as “Linda’s”, but that doesn’t tell the complete story. It would take 7.8 years of the student’s practice schedule to equal one year of the professional’s. Let’s equate the student’s usage to a typical year driving a car (12,000 miles). By comparison, the professional’s car would have 93,600 miles after the first year. Makes you wish we installed odometers! Have your hand slide checked and (if needed) straightened once a year. Tubes that aren’t aligned properly are the main source of premature slide wear. Have your valve(s) checked every 4 to 6 years. Keep all your tuning slides lubed and push them in every time you put your instrument in the case. If you notice something not quite right with your horn, take care of the issue(s) sooner rather than later. Your instrument will work for you much longer than that of someone that neglects to maintain his/her horn. 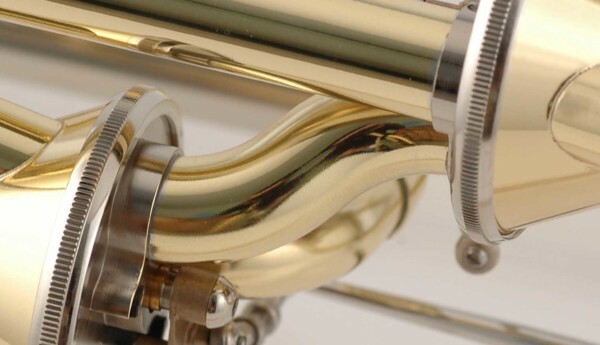 Maintaining your instrument will also maintain its resale value. Purchasing a used instrument boils down to risk vs. reward. We want you to be happy with your Edwards whether you purchase it from us or from a third party. Just do your research and try to make the best decision. Also, keep in mind that we’re always here to help you make that decision.